As I mentioned in Part 1 - Books, I've been spending my time in the morning getting ready, commute to work, or sometimes laying in bed unwinding from the day listening to things that make me feel motivated or put my own life into perspective. I'm relatively new to podcasts, and so far I feel I've chosen quality over quantity. I've only given you a few suggestions below, but they're all amazing and totally worth your time, so check them out! 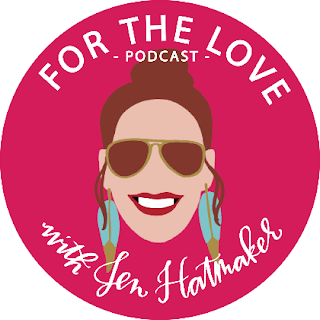 I talked about Jen in my Book post, and continue to love her so much in podcast form. She has tons of interesting guests on her show, and works through them in series around various common themes, all beginning with "For the love of..." For example, she's done a series on for the love of fall, for the love of women who built it, ...new beginnings, ....exploring our faith, etc. It's so fun to hear different perspectives on things, and it's opened me up to several authors or other podcasts that I wasn't aware of before. Like I said about her writing, listening to her and her guests is like listening to your best friends have a conversation. Even when discussing difficult memories or controversial topics, she's so fun and easy to listen to. You will love her! Another thing I've mentioned before is my desire to listen to other perspectives than my own. 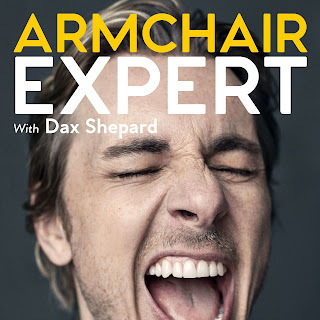 Dax Shepard has a number of celebrities on his show and they all have various viewpoints on many life and social issues. It's fun and interesting to listen to people you "know" and love from media and hear them speak on things that are much deeper than the regular talk show anecdote. It helps round out their personalities for me, and sometimes even reveals why they are the way they are and make the choices that they do. I would like to make a warning that it's quite R rated so keep that in mind. If discussions of drugs, sexuality and foul language are off-putting to you, this may not be your cup of tea. 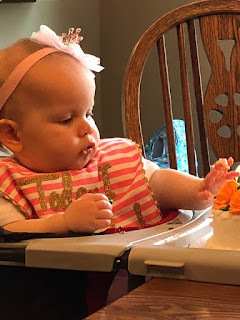 Like Jen Hatmaker, Rachel Hollis is someone I talked about at length in Part 1 of this series. She's extremely motivational--every time I listen to her I leave willing and ready to make a change in myself or my habits to better my life. 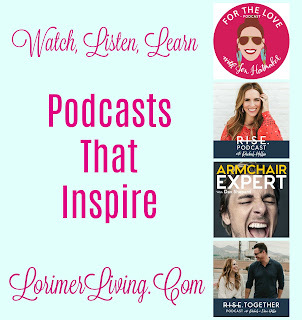 She has 2 podcasts--Rise, which is personal development focused and is hosted by her, and Rise Together which is a couples focused podcast she co-hosts with her husband, Dave, who is also very successful, articulate and motivational. Great, great show to listen to if you're in a relationship, no matter long you've been together. And that's it--short but sweet! If I love in love with more podcasts around the personal development theme, I will definitely do a second post on this topic. For example, I just started Blue Babies Pink and I'm really into it but I've only listened to one episode so far, so stay tuned! 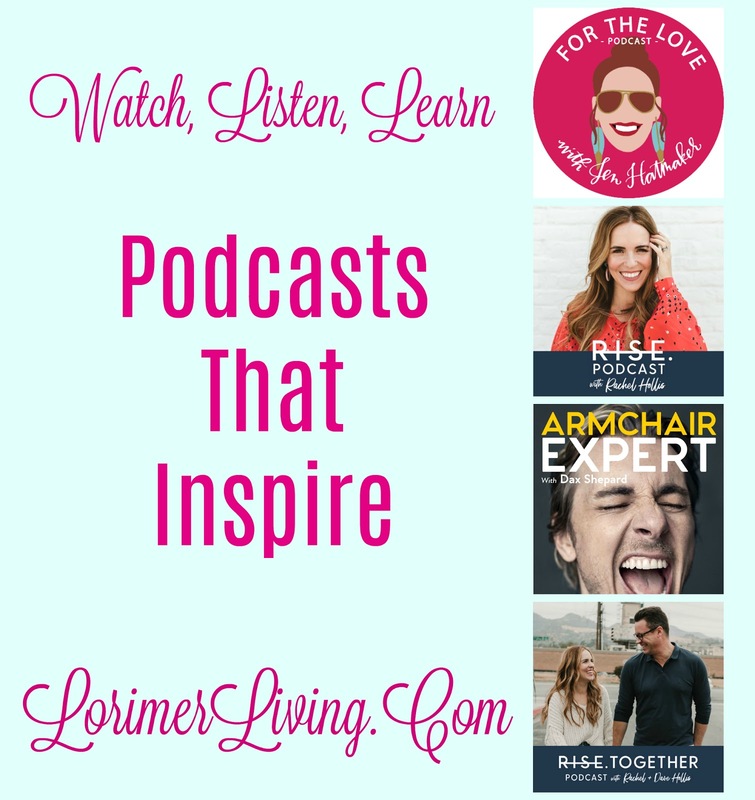 Let me know what podcasts you've been loving in the comments! You can stay up to date by following me on Facebook, Pinterest, Instagram & Twitter and subscribe at the top right of this page. Sharing is caring! If you're a brand or company and would like to do a collaborative post, review, or advertisement, please contact me at sponsor@lorimerliving.com. Hello Lorimer Living Readers! I appreciate you taking the time to comment on my post, and I will absolutely read each one and try to answer any questions you may have. However, because this blog is my online home, I will remove any comment that I feel is malicious or inappropriate. XOXO!